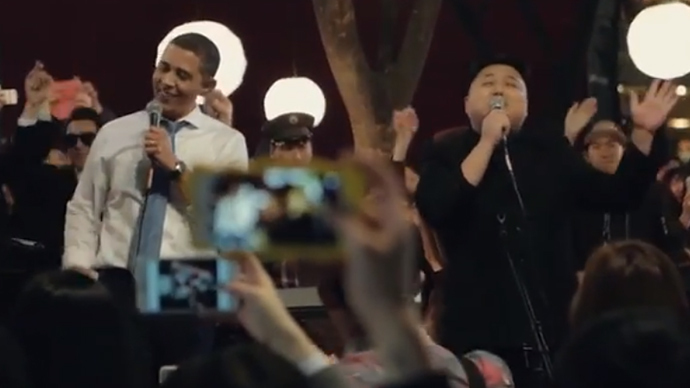 Despite the North Korean leader’s apparent preference for maintaining his communist country’s pariah-state status, he appeared in a viral video in Hongdae, South Korea, performing a lively duet with US President Barack Obama. 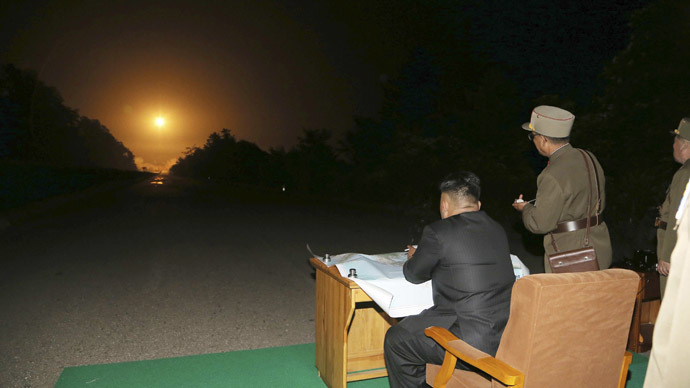 In a rare moment of joy between the United States and North Korea, the saber-rattling, military displays and nuclear threats were replaced with an old acoustic guitar, the bongos and a sentimental song everyone can sing along to. The video features an Obama impersonator who began to play his acoustic guitar and sing along to the well-known ditty, “All by Myself” in the cultural district of Hongdae. As the excitement of the crowd increases, ‘Obama’ is joined by none other than North Korean leader, 'Kim Jong-un', who backs up the US leader on the bongos. Although the event was motivated by nothing more inspiring than a marketing plan to sell appliances for the eNuri electronics company, the commercial did succeed in doing what geopolitical diplomacy has dismally failed at: Bringing together the leaders of two nuclear powers at a time of heightened animosity between the two states. This is certainly not the first time the North Korean leader has been parodied in a Western commercial project. In February, Hollywood released the controversial film 'The Interview,' which depicted the fictional assassination of the reclusive North Korean leader. The movie was initially withdrawn by Sony after it was targeted by hackers in November 2014. Calling themselves 'Guardians of the Peace,' the group threatened to launch a terrorist attack if the film made it to theaters.